Growing up in Houston, Texas, Andrea has always created characters and stories. But it wasn’t until she was in her late twenties that she started writing novels. What happened that ignited the writing flame in her fingers? Divorced, and disillusioned by love songs and stories. They exaggerate. She thought. Love and Romance are not like that in the real world. Then she met her husband and realized, yes love and romance are exactly like the songs and stories say. She is now a happy wife, and a mom to three kids (two boys and a girl). 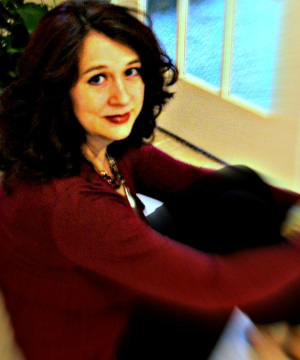 Andrea writes paranormal and historical romance. When not writing or reading, one may find Andrea dancing in Zumba. She believes in the power of change and counting each moment as a blessing. But most importantly, she believes in love. 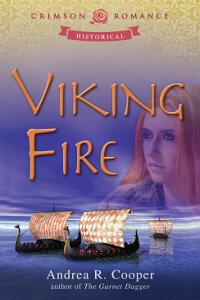 Viking Fire is her second forthcoming novel with Crimson Romance and is a historical romance. Her debut novel, The Garnet Dagger, is a paranormal romance and is now available.